Created by Hyde Park Art Center, Not Just Another Pretty Face allows the Art Center to play matchmaker for artists and potential art buyers, facilitating a fun, accessible commissioning process that builds lasting relationships between artists and patrons, creates a new base of support for artists, and invests in the vitality of Chicago’s cultural community. 2016-17 marks the sixth installment of this dynamic program. 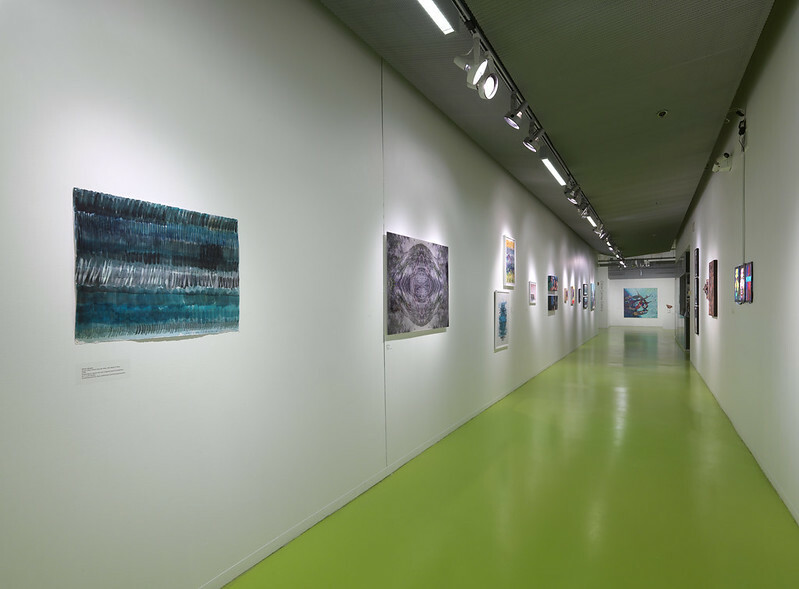 The program takes place every three years and is meant to involve a broad range of patrons and artists, with commissions ranging from in the hundreds to tens of thousands of dollars. To date, the Art Center has raised over $700,000—half of which goes directly into the hands of artists, with the other half going to support Art Center programs. All of this results in an exhibition of the original works of art, a catalog documenting the process, and a lively event to unveil the finished pieces, which will make their way to the patrons’ homes following the exhibition. Not Just Another Pretty Face has been replicated in five cities. Stories of unique collaborations between artist-patron pairs united through Not Just Another Pretty Face abound. One example is emerging artist of color Tony Lewis being commissioned by prolific collector Deone Jackman—known for her keen eye and ability to spot rising talent—who first noticed Lewis’ work when it was featured in the Art Center’s 2012 Ground Floor exhibition, a biennial group show highlighting some of the most promising young Chicago artists recently graduated from the city’s MFA programs. Other intriguing pairs include the commissioning of artist Conrad Freiburg, formerly a Resident Artist at the Art Center, by composer Lisa Kaplan, who was interested in a custom work of art being designed around her music; and the commissioning of emerging artist of color Kenrick McFarlane by Amanda Williams, herself an artist of color who has been commissioned through Not Just Another Pretty Face in the past, and who this summer matriculated through The Center Program, the Art Center’s artist professional development program. Meanwhile, these emerging and mid-career artists are shown in an exhibition and included in a catalogue alongside the likes of artists Jessica Stockholder, Tony Tasset, and Terry Evans, and get their work in front of collectors and gallerists at the level of patrons like Deone Jackman, Richard Wright and Valerie Carberry, and Janis Kanter and Thomas McKormick. This kind of exposure represents a tremendous value for these artists beyond just the financial boon of money in their pocket through a commission facilitated by the project. 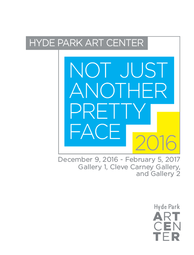 In this way, Not Just Another Pretty Face enables Hyde Park Art Center to activate local collectors to invest in their city’s artists directly; encourage a new and diverse group of people to think of themselves as supporters and patrons of contemporary art; and build lasting relationships between artists and patrons, creating a new base of patronage for artists and investing in the vitality of Chicago’s cultural community. Ani Afshar, Ruben Aguirre, Osei Agyeman-Badu, Biance Alebiosu, Ashley Allen, Candida Alvarez, Nikki Renee Anderson, Jeffrey Michael Austin, Lee Blalock, Corinna Button, Deborah Culbreth, Matthew Huang Cummins, Barbara Diener, Lessie Dixon, Sunny Neater DuBow, RJ Eldridge, Stephen Flemister, Lora Fosberg, Eric J. Garcia, Maria Gaspar, Amanda Gentry, Susan Giles, Alice Hargrave, Russell Harris, Jamie Hayes, Charles Heppner, Samantha Hill, John Himmelfarb, Robert Holmes, Diane Jaderberg, Chad Kouri, Christine LaRue, David Leggett, Michelle Litvin, Julius Lyles, Cecil McDonald, Adelheid Mers, Matthew Metzger, Nuria Montiel, Jessie Mott, Ben Murray, Judy Natal, Sarah Nishiura, Michelle Nordmeyer, Joyce Owens, Cindy Phenix, Melissa Ann Pinney, Kaveri Raina, Renee Robbins, Darrell Roberts, Nancy Lu Rosenheim, Max Sansing, David Schalliol, Tony Tasset, Luis De La Torre, Pete Wade, Mel Watkin, Rhonda Wheatley, Amanda Williams, Brittney Leeanne Williams, Shyvette Williams, Scott Wolniak, and Mark Yee.